Syfy is getting in on comic book-based programming in a big way. 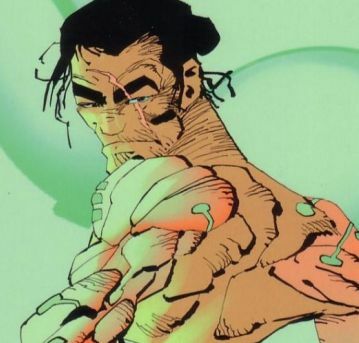 According to The Hollywood Reporter, the channel is set to adapt the classic Frank Miller series Ronin as well as the previously-reported Oni Press series Letter 44. TheWrap also reports that the Image Comics series Clone is being developed for the cable network as well. Syfy is developing Ronin as a mini-series event with the search for a writer on the project ongoing. Letter 44 and Clone, on the other hand, are both being developed for series. Terminator 3 director Jonathan Mostow will pen the script and direct the pilot episode for Letter 44, while series creator David Schulner will write and executive produce Clone along with "The Walking Dead" creator Robert Kirkman. Originally published from 1983-84, Ronin tells the tale of a legendary warrior, the Ronin, a dishonored, masterless 13th century samurai, who is mystically given a second chance to avenge his master's death. Finding himself suddenly reborn in a futuristic and corrupt 21st century New York City, the samurai discovers he has one last chance to regain his honor. But to do so, he must defeat the reincarnation of his master's killer, the ancient demon Agat. Letter 44, created by Charles Soule and Alberto Alburquerque, tells the story of newly-elected President Stephen Blades, who reads the letter left for him in the Oval Office by his predecessor and learns the stunning secret that seven years earlier NASA discovered an alien construction project in the asteroid belt. A crew of heroic astronauts was sent to investigate, and they're nearing the conclusion of their epic journey. Image Comics' Clone chronicles Dr. Luke Taylor, whose perfect life comes to a dramatic halt when an identical, bloodied version of himself arrives at his doorstep with news that he is one of many clones… and they're all after his pregnant wife and their unborn child! Check back here for more info on Syfy's adaptations of these comic properties as we learn them.